​Real Madrid will sanction the sale of reported Manchester United target Raphael Varane this summer if they can achieve a fee of around €100m, according to reports from Spain. Much speculation has arisen surrounding the France defender's future at the Bernabeu since Zinedine Zidane's return to the club in March, with the general feeling being that he wants a move after a difficult season - sparking strong links with United, who have long been chasing a new centre-back. It seemed unlikely to begin with, given how important he is to the side, but with the signing of Eder Militao confirmed and ​links with Inter's Milan Skriniar and Napoli's Kalidou Koulibaly persisting, the speculation grows legs with every development. 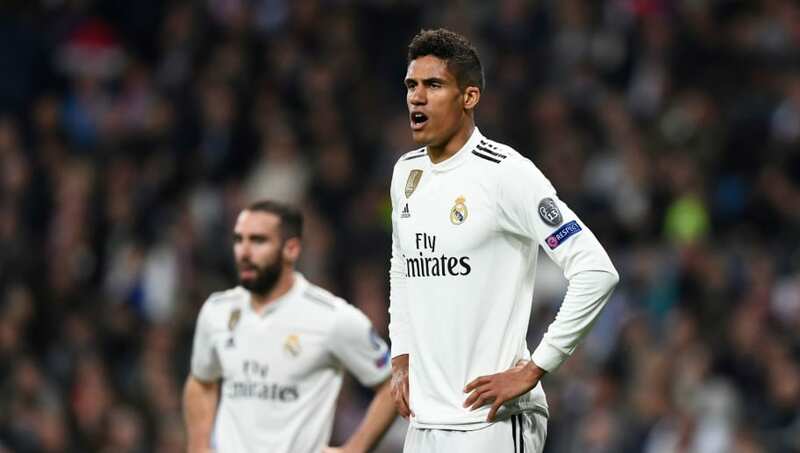 The latest comes from Spanish TV station El Chiringuito, who claimed via ​Twitter that Varane has communicated his desire to leave, and has been told his sale will cost around €100m. It should be noted that, while not always the most reliable source, El Chiringuito did break the story of Zidane's return to the club, so perhaps have their finger on the pulse when it comes to ​Los Blancos. That's not to say it should be taken at face value, but if true, it means one of the world's best defenders is on the market - which should encourage ​United and any other major clubs chasing a quality addition to their defence in the summer months. Having won four Champions Leagues, two La Liga titles and a World Cup at just 25, he'd certainly be some first signing for Ole Gunnar Solskjaer as United's ​new permanent manager.